WEST PALM BEACH, Fla. — The International Hot Rod Association (IHRA) Summit Team Finals continue this week with Division 1 (Patriots) and Division 4 (Renegades) Sept. 27-30 at Maryland International Raceway, Budds Creek, Md., and Xtreme Raceway Park, Ferris, Texas. Division 1 (Patriots) features some of the top tracks from Maryland, Delaware, and Virginia. The list includes: Maryland International Raceway, Richmond Dragway, U.S. 13 Dragway, Motor Mile Dragway, Capitol Raceway, and Sumerduck Dragway. Division 4 (Renegades) features some of the top tracks from Texas and Missouri. The list includes: Pine Valley Raceway, Little River Dragway, Alamo City Motorplex, Edinburg Motorsports Park, Penwell Knights Dragway, Amarillo Dragway, Mo-Kan Dragway, and Xtreme Raceway Park. 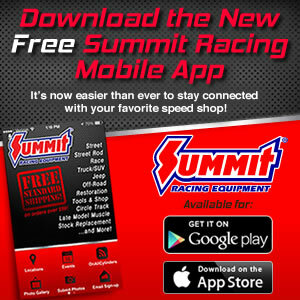 Any Summit SuperSeries competitor, who has an IHRA membership and an “X” number registered and valid according to IHRA records from May 1 through his or her division’s Summit Team Finals event, can win the Summit Team Finals main event championship and become eligible for the Summit SuperSeries World Championship race. For more information, click here. Maryland International Raceway won last year’s Division 1 (Patriots) team title. Individual winners included: Eric Tenney from Capitol Raceway (Top), Tim Foskey from U.S. 13 Dragway (Mod) and A.J. Jenkins from Maryland International Raceway (Junior Dragster). Pine Valley Raceway won last year’s Division 4 (Renegades) team title. Individual winners included: Preston Pennington of Edinburg Raceway (Top), Drew Porcher from Pine Valley Raceway (Mod) and Dalton Lummus from Evadale Raceway (Junior Dragster). For more information, on the IHRA Summit Team Finals click here.